This topic contains 6 replies, has 2 voices, and was last updated by towhid 3 years, 8 months ago. I don't think you read all my message carefully. That is a featured image. Now select another variation for the same product from the drop down attributes and the image will change then tell me what image you see when hovering over the product image. thank you i await for the solution. These bugs should be ironed out in the main source file of your Dokan versions rather than fixing individual sites. Towhid what's the timeframe for this to be fixed?? Please allow me some time. Developers are working to get a way out. 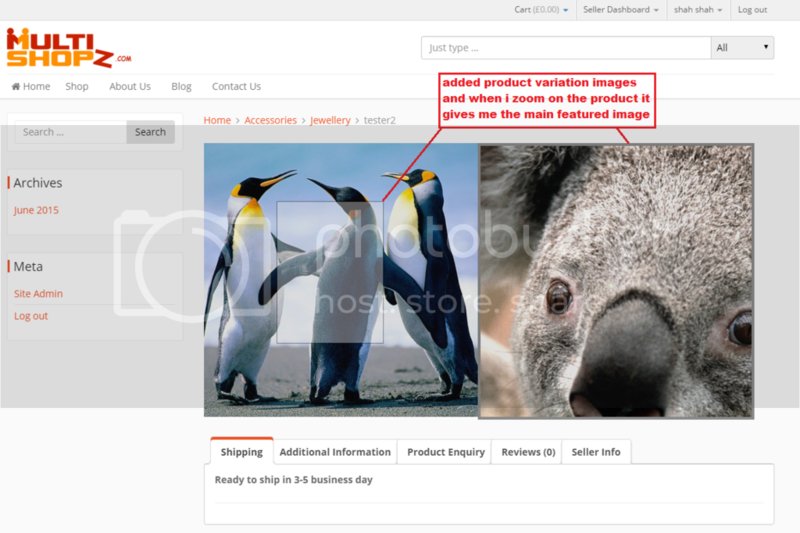 The topic ‘Product Zoom error with Product Variation Image’ is closed to new replies.